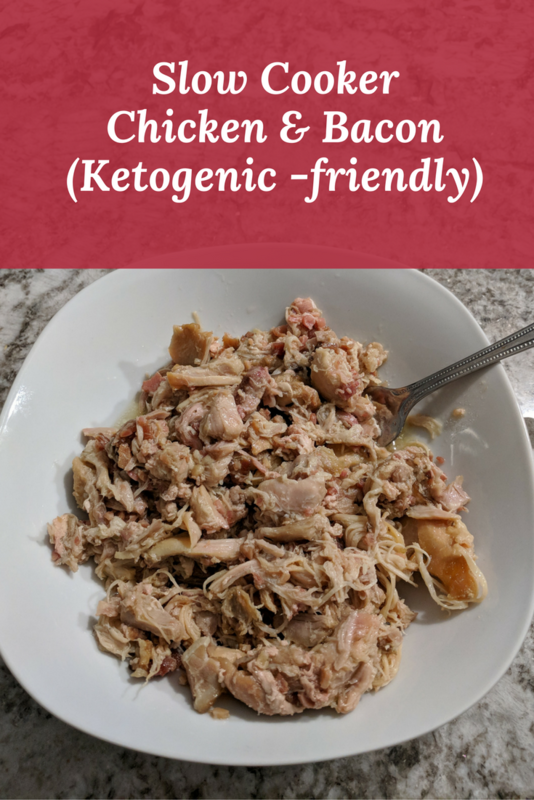 Both my husband and best friend told me that this was the best slow cooker dinner ever! My husband is doing a ketogenic diet and it's really hard to find meals to make. I came across this recipe from PaleoMagazine.com and thought it sounded delicious. Anything with bacon sounds good, right? The only change I made was I used two packages of skinless, boneless chicken thighs, instead of chicken breasts. I was a little skeptical about not adding broth but once this dish was done cooking it was extremely juicy and moist. I made a side dish of green beans and avocado. 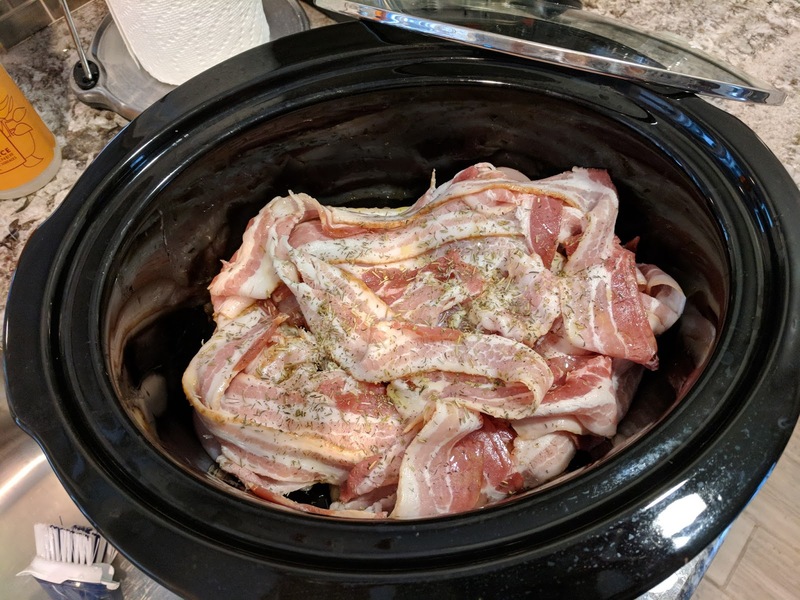 1 - Put chicken in slow cooker and layer bacon on top. 4 - Cook on low for 8 hours. 5 - Around the 7 hour mark (or at the very end), take two forks and shred the chicken and bacon. It should shred very easily at this point. 6 - Serve with a slotted spoon to drain the oil and enjoy! My husband eats this by itself, but if you are not avoiding carbs, this would be delicious on a pretzel bun. Serve with a salad or veggies and you have yourself a very easy dinner. I love these 8 hour recipes that cook while I'm at work. The leftovers are delicious too. I'd love for you to share your favorite slow cooker recipes in the comments below! Will be trying ths soon! Sounds easy enough to make! There's this Thai peanut chicken recipe for my slow cooker that I've been obsessed with, currently - it's on Averie Cooks. You had me at BACON!!! The pretzel bun is a great suggestion. Chicken and dumplings sound amazing! You'd be surprised, the dish comes out super moist and flavorful with just a little bit of olive oil. This looks and sounds good. Will try this recipe soon!